I know many have not heard about this brand, but seriously, it is by far one of the most awesome product presentation I've seen with my own eyes. The award-winning French skincare brand Novexpert organized a talk for their invited guests to get to know more about the brand's product, I am glad I am one of them who get to receive the inivitation and precious knowledge about Novexpert. It is no secret that all the skincare products and cosmetics we apply onto our face and skin will penetrate into all layers of our skin and eventually, end up going into our blood stream and being transfer around our body. Yes, you hear me right, that includes all the chemicals that's been used to produce the skincare products, be it toxin or not toxin. Although we can't really see the effect of these chemicals residue inside our body, but a life long exposure of the chemicals to our body may bring harm more than we realize, that's why Novexpert, new generation and technology of skincare is created. The talk and philosophy of this natural, clean anti-aging skincare was explained by the co-founder and Chief Execitve Officer of Novexpert - Cyrille Telinge. This new technology anti-aging skincare is targeting those modern techno-parano consumers who are afraid of chemicals but yet want medical quality and effective products that are safe, natural and organic when used over the long term. The creation of Novexpert is based on the combination of two experienced business families - The SIROP family who are well known as the Thalgo group who owns 9 brands known among more than 60 countries and The TELINGE family whose the owner of luxury clothing line "Cyrllus"who later sold its company to one of the major luxury group who owns Gucci and Le Printemps. Both entrepreneurs families share the same value: entrepreneurship, innovation and ethic. 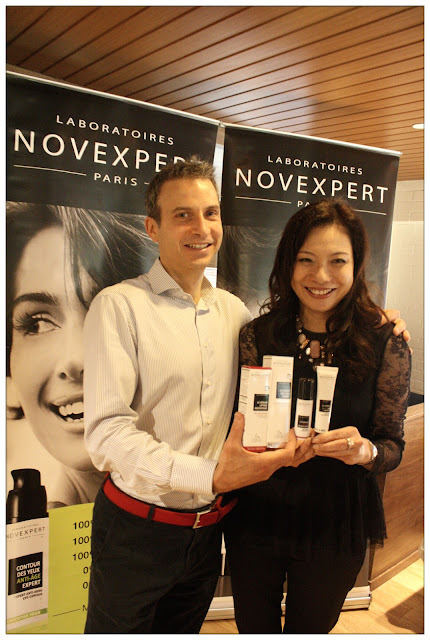 Both families joined well-known senior researchers who worked for prestigious cosmetic brands such as the former World Technical Director Shisheido, former Wold Scientist Director from Nuxe, former World Researcher Director from Kanebo, former World Director from Sederma in order to achieve excellency and expertise of Novexpert's own Research and Development laboratory in 1999. 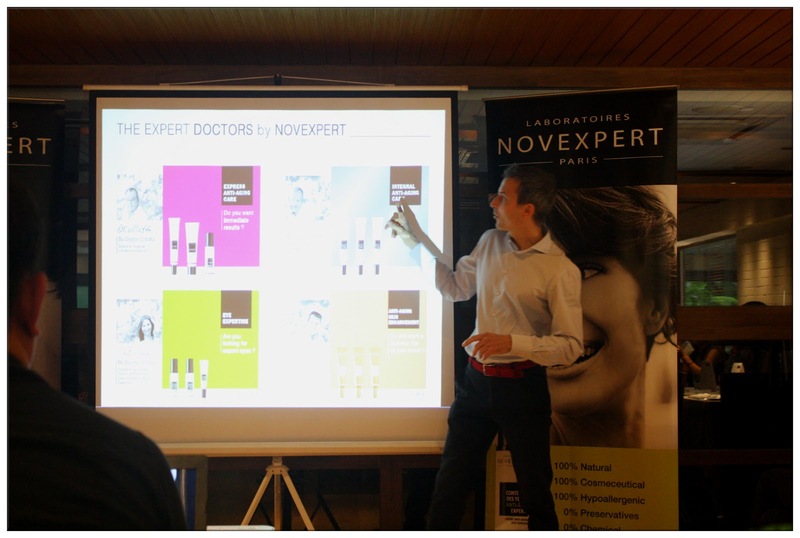 The Novexpert Doctor Line consists of 3 ranges: Integral Anti-Aging Range, Express Anti-Aging Range and Eye Expertise Range. 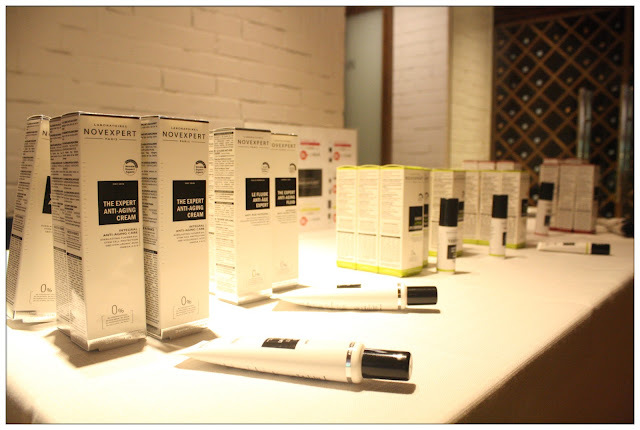 These products are developed by its team of French doctors who are recognised as experts and researchers in the skincare industry. Without any marketing and financial constraints, these doctors only focuses on developing the most effective anti-aging formulations that will also be suitable for sensitive skin as well as for long term use. 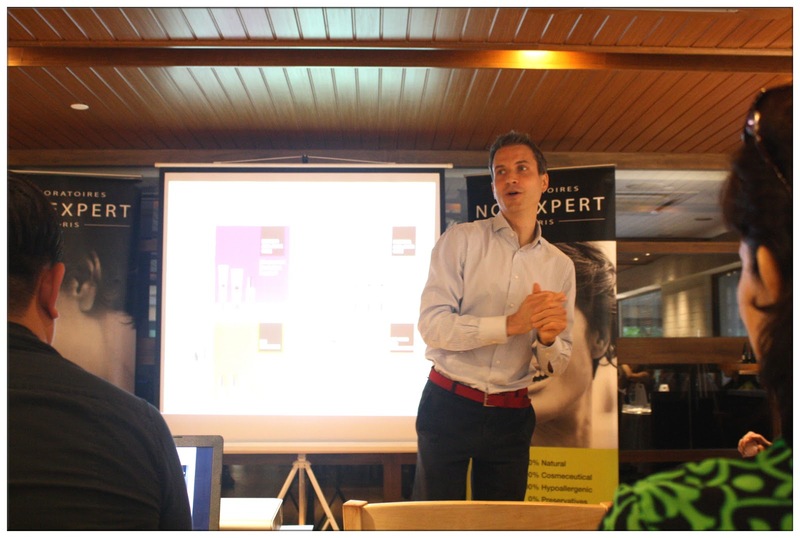 Novexpert has already garnered 11 awards within 3 years since its launch in Europe. All formulations from the Novexpert Doctor Line are Ecocert certified 100% natural origin (you know, even organic brands can only claim 95% to 98% natural origin.) Novexpert is 0% chemical, they uses natural system of preservation which makes the products of the brand so unique, non-toxic, 100% biodegradable and certified 100% hypoallergenic. 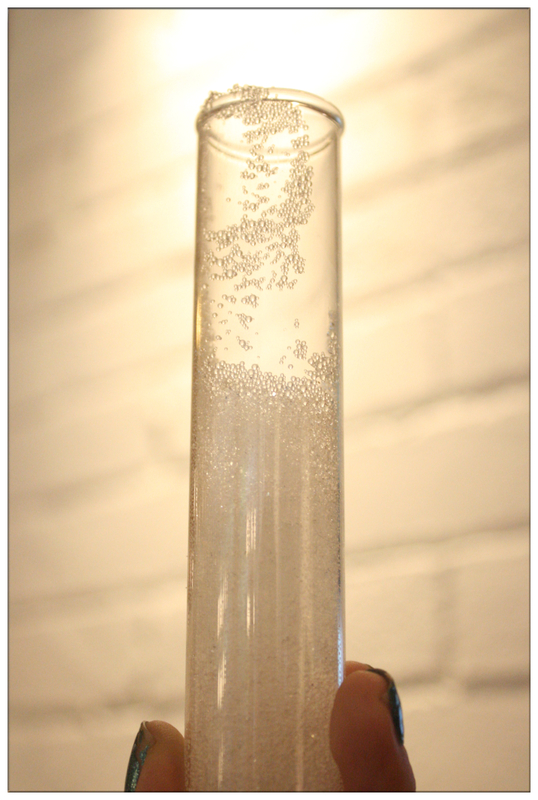 If you ask me: How can a product maintain in a good state without any support of chemicals to help preserve it? The answer that Novexpert will give you is - Novaxyline. It is one of the key ingredients in all the products of Novexpert which is a complex combined with 3 types of sugar created by the process of bio-fermentation and an algae extract (can be found offshore Brittany). These ingredients are able to jellify water in just 3 seconds and bacteria cannot develop without hydration. Our body needs good bacteria to survive, using preservatives will kill all the bacterias in the products that we use, including the good bacterias, and that is why more and more skin allergies were reported each year. Purify our skin too much, leaving it no good bacteria to fight with the allergens that come contact with our skin will eventually cause inflammation and allergies. It is a kind of natural protection that our skin needs. To show all the guests how 100% edible and biodegradable Novexpert is, Cyrille slab tons of Novexpert cream into a plate of fresh yogurt and another plate of yogurt were mixed with another brand of cream, to see if there's any changes in texture because yogurt contains all the good bacterias which is good for our body, if any preservatives were detected the texture of the yogurt will change because the good bacterias were killed. While the brand X cream's plate of yogurt become all sticky and clumps all together, Novexpert's plate of yogurt still look smooth and silky that there are no changes at all. 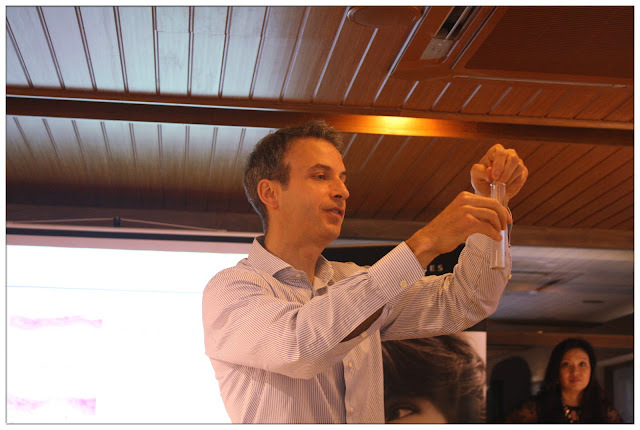 Before showing Novexpert's plate of yogurt to all the guests, Cyrille even dipped his finger into the yogurt then put it in his mouth, that's how he's sure of the 100% organic, edible and biodegradable Novexpert is. Use anti-aging products before your first wrinkle appears, which the ideal age of 25 for Asian skin to start fighting with aging skin and it'll take 5 years for the wrinkles to be visible. Normally for caucasian women, their wrinkles appear around 25 years old and Asian women, 33 years old. As Hyaluronic Acid is involved for tissue repair, all Novexpert products have "encapsulated and non-encapsulated" Hyaluronic Acid in them. Non-Encapsulated Hyaluronic Acid will remain on the skin surface to bring moisture and superficial lifting effect while the encapsulated Hyaluronic Acid will go deeper into the skin to increase the quantity of the dermis (for a deeper lifting effect). The Express range contains 7% (highest concentration) of Hyaluronic Acid while other ranges contains 5% of Hyaluronic Acid. 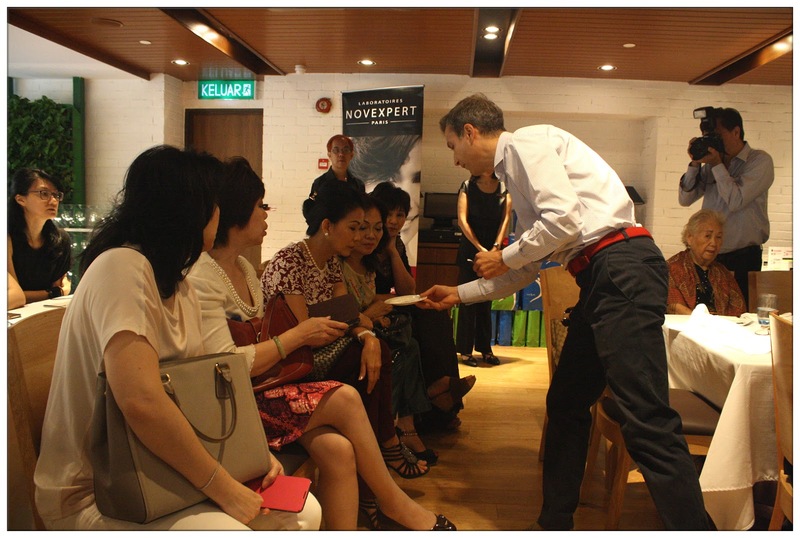 Novexpert, a technology that you wouldn't want to miss! It was a wonderful presentation. Prices range from RM99 to RM178. Available exclusively at SaSa outlets nationwide and online purchase Novexpert products at www.plincco.com. Amazing write-up, Reiko! Will definitely share this! The 100% Natural Novexpert is available in www.plincco.com!